You were finally almost winning the division 1 and the FUT 13 connection drop ? You have high lag on your matches ? You can not even access FIFA 13 Ultimate Team and you feel that you wasted lots of money on a game that you will not play? If you feel disoriented with some of these questions, read our tips to find out what you can do to improve your game connection. It is true that the EA servers are far from being great. But, unlike the idea that the community usually has the greatest fault is not from EA. It’s the players. Don’t forget that the connection used on FUT 13 is P2P. A poor Internet service provider or a wrong configuration of connection settings are the main reasons for these problems. Many of these situations can be solved without great difficulty. That’s what we intend to try to help in this article. We are not experts in this area but we also had connections problems and have investigated a lot to find solutions. Today we play without any problem. The first thing to do is to try to know if your FUT 13 connection is OK or not. To do this, start your FIFA 13 and, in the main menu, navigate until you reach the “Online” or “Seasons”. On the top left corner you will find a field named “Firewall Status”. There, is where you can know how your connection is. If it is open (green), then the problem is not yours. But if it is moderate (orange) or restricted (red) you will have to do something if you want to play FIFA 13 Ultimate Team without problems. If you only had problems with your FUT 13 connection right now, so this should be your first step in an attempt to solve them. Repeat the last step for every additional piece of network hardware. Although it is unlikely that you go find the solution to your problem in simplifying network configuration, it is important to make it to screen every chance. Temporarily unplug everything from your router, except the cable to your modem and the cable to your Xbox 360 console or to your PS3 console. Temporarily turn off everything that’s connected to your wireless network except your Xbox 360 console or your PS3 console. Universal Plug and Play (UPnP) is a standard that helps routers communicate effectively. If your router or gateway supports UPnP, make sure this setting is turned on. Refer to your hardware documentation for help turning on UPnP. Most hardware manufacturers have websites that include support information. If you change the UPnP setting on your network hardware, restart your hardware and test your Xbox LIVE connection or your PSN connection. The final test is to see if the FIFA 13 connection is now open. Move your router or gateway off the floor and away from walls and metal objects. Move your console off the floor and away from walls and metal objects. Remove your console from an enclosed entertainment centre, bookshelf or TV stand. Minimise obstructions along a straight-line path between your console and your wireless router or gateway. Possible obstructions include TVs, cabinets, appliances, other electronics and furniture. Shorten the distance between your console and your wireless router or gateway. Ideally, your network hardware should be near the centre of your home. Turn off wireless devices. If your router uses the 2.4 GHz band, try turning off wireless devices, such as 2.4 GHz cordless telephones, Bluetooth devices and baby monitors. If you are using a wireless headset with a base station, try moving the transmitter away from your console, or temporarily turn it off to see if your wireless network signal improves. Try changing your wireless channel. Wireless routers and gateways can broadcast on different channels, and one channel might be clearer than another. For example, try channel 1 or 11. See your hardware documentation for help with changing wireless channels. Add a wireless repeater to extend your wireless network range. You can boost your signal strength by placing a wireless repeater halfway between your router or gateway and your console. Most of the players use the Xbox 360 and PS3 functionality that allows them to connect to the internet via a wireless connection. It is undoubtedly more practical, but usually wireless connections are also slower. 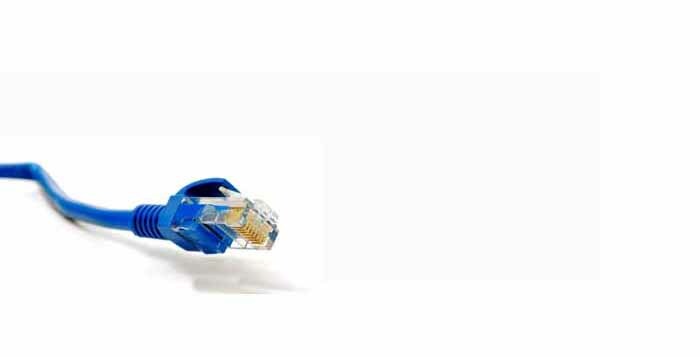 Typical wired 10/100 Ethernet has a theoretical maximum of 100 Mbps. Typical 802.11g Wireless has a theoretical maximum of only 54Mbps. Moreover, wireless connections are also more likely to network conflicts and errors. Bandwidth is the amount of information transferred over your Internet connection. If your bandwidth is limited or fluctuates dramatically, it can affect the performance of your FIFA 13 Ultimate Team matches. When someone in your house browses the Internet, they use bandwidth that could be going to your console. If you are having problems to play FUT 13, make sure that other computers in your home are not downloading or transferring files while you are trying to play. If your Xbox 360 or PS3 console is connected to the Internet through a router or bridge, try connecting the console directly to the modem, instead of through those devices. Players having difficulties connecting to online play or to other players in FIFA 13 likely need to open, or forward, their online ports. 1) Start your web browser. 2) In the Address bar, type the default IP address for your router or gateway, and then press ENTER. If you don’t know the default IP, try to find it on your documentation or on hardware manufacturer’s website. The most common are Belkin (192.168.2.1), Linksys (192.168.1.1), D-Link (192.168.0.1) and Netgear (192.168.0.1. Or 192.168.1.1). 3) Type your user name and password (for your router or gateway), and then click OK. If you do not know the default user name and password, refer to your hardware manufacturer’s documentation. 4) Once you are logged in, you should see your router or gateway’s configuration page. 5) Follow the tips of PortFoward about how to open the ports of your particular model. It is impossible to show here because there are hundreds of different models with different procedures. If your router is new, you may not have to do this process. Check if it supports Pre-Configured online gaming port settings, select the Xbox Live/Playstation Network Pre-Configured setting and assign it to your console. If you got here without solving your problem, don’t worry: there are good chances to have success with this tip if your router supports DMZ. We leave this tip to the end because it has a major drawback: you will be unable to use the Internet at home while playing FUT 13. But at least, you will play perfectly. A modem that has a router built in is always a solution to avoid. That’s why you should try to get NAT type 1. It will avoid many router problems, as the ones that happens when it does not save the open ports changes. 2) In the Address bar, type the default IP address for your router or gateway, and then press ENTER. If you don’t know the default IP, try to find it on your documentation or on hardware manufacturer’s website. 3) Type your user name and password (for your router or gateway), and then click OK. If you do not know the default user name and password, refer to your hardware manufacturer’s documentation or ask to your ISP. 4) Disconnect the Internet through a path that depends of your router model but should be similar to Broadband Connection -> Internet Services -> Disconnect. 1) On your console, go to My Xbox, and then select System Settings. 3) Select WiredNetwork or the name of your wireless network, if you are prompted to do so. 4) Select Configure Network and on the Additional Settings tab, select PPPoE Settings. 5) Select User Name, enter it and select Done. 6) Enter your password and service name. If you don’t know your user name, password or service name (PPPoE settings), please contact your Internet service provider (ISP). 7) Press the B button on your controller, and then test your connection. 1) On your console, go to Network Settings -> Internet Connection Settings. or Choose Custom -> Network Cable -> Auto Detect (if connected by cable). 3) Choose PPPoE and enter your username and password (PPPoE settings). If you don’t know your user name, password or service name (PPPoE settings), please contact your Internet service provider (ISP). 5) Save and test your FUT 13 connection. Every time you turn on the console, you must turn off the Internet in router (step 1). Only then the XBox 360 or the PS3 will be able to connect to the Internet. If none of the previous nine tips have helped you, please contact your Internet Service Provider. Expose the problem and ask for help. Request a firmware update for your router or a switch to another equipment. If the problem persists, consider changing to another ISP. Before you do, try to talk to other players and analyse the feedback that they give you about other ISPs. It is not the perfect solution but, if playing FUT 13 is really important to you, it may be the only one.